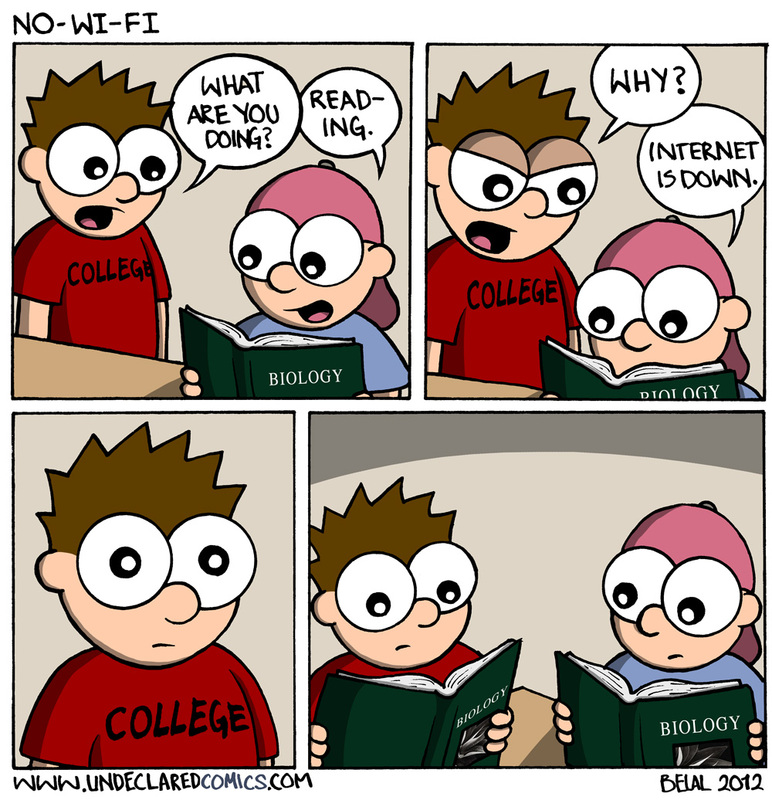 When the internet goes down, its enough to make you go crazy… like read a book or do your homework. Over the past week, I have been without any internet… and there was absolutely nothing to do. I used to think that I was an unproductive person, but when I lost access from my internet service provider, I dropped into a state of deep laziness that was pretty disturbing. So next time somebody tells you to get off the internet and do something with your life, tell them that its actually the internet that makes us all productive. No one would just read like that. Things just didn’t add up. At the age of 20 (Younger than everyone here, right?) I read nearly every day and have a new book in my hands every 1-2 weeks. The knowledge and wisdom I have amassed just from reading is (unboastingly) greater than many people in the “wisened” years of their life. I sincerely hope you are not so absorbed with the internet that the traditional paper book is outside of your scope of interest.